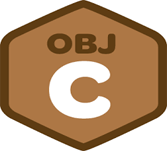 What is Objective C ? Objective-C is the primary programming language used when writing software for OS X and iOS. It’s a superset of the C programming language and provides object-oriented capabilities and a dynamic runtime. Objective-C inherits the syntax, primitive types, and flow control statements of C and adds syntax for defining classes and methods. It also adds language-level support for object graph management and object literals while providing dynamic typing and binding, deferring many responsibilities until runtime. How is it useful to the audience? To understand the basic concepts to advanced concepts related to Objective-C Programming languages , references are being prepared to help the beginners. Assuming that you are aware of the computer program and the computer programming language, various types of examples are illustrated.